What’s wrong with Halloween fun? Posted in Bible, Christianity, Corruption, Faith, Government, Liberty, Life, Love, Religion | Comments Off on What’s wrong with Halloween fun? …Is it already too late? The presidents of BOTH parties, with the collusion by Congress and the Courts, have increased direct executive power for many decades. Abraham Lincoln set the pace but it retrenched after his untimely end, but it was Franklin D. Roosevelt who jump-started the modern move toward the “imperial presidency”. Nixon was accused of it big-time, but he didn’t really do much more than any of the others along these lines. In fact, Kissinger seemed to be the one calling the shots in my opinion. The birth of multi-thousand page laws was not an aberration. This tactic was adopted so the bureaucracy controlled by Obama appointees would have sole discretion in interpreting vaguely written laws and enforcing thousands of pages of regulations they and not Congress would subsequently write. For example, in the 2,700 pages of ObamaCare there are more than 2,500 references to the Secretary of Health and Human Services. There are more than 700 instances when he or she is instructed that they “shall” do something and more than 200 times when they “may” take at their sole discretion some form of regulatory action. On 139 occasions, the law mentions that the “Secretary determines.” In essence one person, appointed by and reporting to the president, will be in charge of the health care of 310 million Americans once ObamaCare is fully operational in 2014. The same is true in the 2,319 pages of the Dodd-Frank Financial Reform Act which confers nearly unlimited power on various agencies to control by fiat the nation’s financial, banking and investment sectors. The bill also creates new agencies, such as the Consumer Financial Protection Bureau, not subject to any oversight by Congress. This overall process was repeated numerous times with other legislation all with the intent of granting unfettered power to the executive branch controlled Barack Obama and his radical associates. In effect, it gives massive legislative power to the federal bureaucracy over our lives, womb to tomb. Now THAT is even worse than just the shredding of religious freedom with the contraceptive command that order us all to pay for coverage for products that they oppose on moral grounds. Especially egregious when you consider that one of the mandated drugs is also an abortifacient. BUT that mandate represent something much BIGGER, because it shows how much dictatorship by the executive is in this abomination. That’s not the only really bad law supposedly granting arbitrary and capricious powers to federal officials to run the economy (into the ground). The EPA, established by Richard Nixon, throws its weight around like a Sumo wrestler. The ATF wants to see your dealers’ license, never mind they push guns to the worst serial killers in the Americas. Obama has ignored court orders like with the Gulf drilling, and he’s acting like Chavez was before consolidating his own dictatorship, and like Zelaya before their Courts finally ordered him arrested. When the plantation owner is the boss that says what he’s going to do with the fruits of your labor, and it is not a natural state of affairs because man is an individual sovereign and flourishes when he is free in his natural liberties. It will be a very ominous future if Obama continues in the White House, but the problem is also the temptation of power and the reluctance of those who have it to give it up. You will have a big problem with Romney too. The Salvation Army and the Red Cross have shown that private initiatives do MUCH more for the WORST off folks than any government. God damned meddling Yankees and their leaders, the ones trying to wipe out the Christians and the Alawites from Syria, the ones who are sending them arms from the rulers of the Yankees. Just like during the Crusades, the Christians who actually are natives of the MIddle East hate the fighting and only want reconciliation. It’s too bad they look to Europe to arrange peace there, they forget that France gladly charged into Libya carrying NATO colors and pulled America in with them, and the result is tens of thousands dead at the hand of the Muslim version of Lenin‘s gullible “useful idiots”. And as each side becomes more entrenched, the possibility of reconciliation becomes ever more remote, and paranoia begins to spread. ‘You’ve got to ask, who benefits most from this war?’ says Dr B’s wife to me in a stage whisper, across the table one night in Beirut. OK, who does benefit? ‘Israel,’ says Dr Bassam instantly, then relays a complicated theory about the benefit to Israel of weakening Syria and Lebanon through partition. But Assad’s Syria is now a client state of Russia. Whether the cause is local or global, one sad fact is that the Christians are leaving Syria, and once they’ve left, most won’t come back. This is the least examined tragedy of the conflict — the exodus of Christians from their holy land. He surmised, “The government is incapable of doing what it has charged itself with the responsibility of doing because it has no competition and there are no consequences when it fails.” As a result, Judge Napolitano forewarned, this will happen again. What’s the alternative? 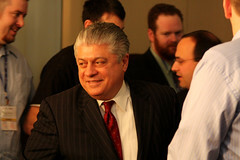 Judge Napolitano said that since states can’t be sued if people are harmed, insurance companies should be in charge of regulating because they would be held accountable. Massachusetts is probably the most regulated in your face state in the country. Their inspectors are empowered by the state to stay all day at any facility they choose, and they have a lot of them. And yet this slipped out. The company will be shut down but the state inspectors? Nothing will happen to them. Will all the gullible statists that think they can have an omniscient and caring government take care of them, will they throw out the governor for this? Maybe not. It’s only a scandal where people are dying, happens to be Tennessee mostly, but even there, it’s not that big a percentage of the population. It’s one BIG DEAL to the families that have been hurt, for sure. One thing for sure, those inspectors are not going to hurt. As a matter of fact, this episode has the naive and gullible now calling for more inspectors. There will be no demotions unless the public forces the state government to pay or the state forces the inspectors involved to pay. But they have the old standby that works for state-control advocates pretty well usually -so far-: We just need more money to hire more people and to buy more tools. The recent meningitis outbreak, with dozens of deaths and hundreds of serious illnesses has been traced to a facility that was filthy, and was exempt from government regulations and inspections concerning the production of drugs. First, remember that all the massive regulation ALREADY in place did NOTHING to stop the sale of these supposedly contaminated batches of medications. This is the cost of losing caveat emptor. If the government regulated used car sales like they do medications, nobody would be able to afford one anymore! When you have a populace that is educated according to the individual convictions of each one’s parents, and has not had its minds zombified by having a nanny state government that guarantees an omniscient ability to protect it from all corporate evils, then you have a populace that regulates the hell out of the markets. We have MORE of that today with government regulation. The FDA is a big drug-pusher, if for the ones who have the right cozy relationship with the proper agent-in-charge. The FDA and the Agriculture Department have done more to destroy the health of the nation’s people than help them. Stores that sell healthy nutrition and healthy food have been relegated to a dark niche market restricted to the rich and those who appreciate the difference, because those who sell it have been censored by rules that “regulate” medical claims. Marijuana could help some people in some cases in pain and in other ways but THE REGULATORS “protect us” by telling us it is as bad as heroin. If health food bakeries tell the truth, they are slapped down with punitive fines. There have been businesses bragging about benefits. If you aren’t a BIG corporation that can pay for a $5 million study, you can’t tell what you know is the truth about a product. Drugs are advertised all day on your favorite TV programs. Listen to the big long disclaimer list in those ads, and then think about the fact that those omniscient superhuman beings that said they could market and advertise (think your dictators) are the same omniscient superhuman beings that say marijuana is just as dangerous as heroin and cannot be prescribed or taken for any use whatsoever. Oh and don’t forget HEMP that has no recreational effect at all! Oh what divine wisdom we entrust to both our elected officials and to the bureaucracy that hires the divine wisdom of characters that prefer to be little regulation dictators. Oh yeah, we’re so dumb we need to be told what we can eat, buy, sell, drink, drive, or THINK. If you think that scandal was bad, you should have seen the stories about the VETERANS ADMINISTRATION hospital in South Florida a few years ago, where things were truly and really filthy. As you know, that’s a government facility. He is America’s most famous lobbyist, and he says after he lost the financial interests he was able to see more clearly. When they arrested him, my first thought was, why him, why now? The Congress is full of members who benefitted illegally from his activities, and plenty of lobbyists who this day continue doing the same things. In fact, he said Ron Paul was one of those few who were not moved by offers of money in exchange for votes. Cotto: Many politicians support the DISCLOSE Act as a remedy to Citizens United. What are your views on the DISCLOSE Act? Abramoff: I think disclosure is vital and have been pushing disclosure as part of the reforms I feel are vital to fix the system. I am concerned, however, that the Obama Administration (Like some of their predecessors) is undermining the effort to pass the DISCLOSE Act by commencing what seem to be politically motivated prosecutions of large donors in the Republican Party. Whether they intend these actions to intimidate these citizens or not, the result is that many supporters of real reform are backing away from the disclosure provisions out of fear of retaliation. Congress should pass criminal sanctions against any employee involved in such pernicious behavior. It is the only hope to get more disclosure in the system. Of course, the President could firmly direct his employees to stop this, but no one is holding their breath. Citizens United was where the little guy got a bit of a voice. I’ve listed four or five reasons below. In the real world, incumbents re reelected something like 90 percent of the time to Congress, and the majority of times to the presidency. The reason? The incumbent has a built-in billionaire advantage that comes automagically from (1) using the taxed and borrowed money, collected by taxation extorted from people of opposite sides of their positions and supporters all, for “official” communications, interviews, press releases, and (2) the payback from being a good “patron” for his sponsors’ causes, and (3) name recognition. In today’s world, item (3) has a dollar value in the millions. As relates to Citizens United, it is absolutely true that corporations are NOT people. BUT free speech ensues from natural INDIVIDUAL rights, and one’s contributions to the efforts of an initiative to publicize the views shared by the contributors, provides the individual a way to compete for attention with the big money. Ironic that the excuse they use to protect special interests is that they want to stop the influence of special interests. Now there are some people that want to throw a mud cover on that, to obscure the fact that people contributing to a corporate initiative with the purpose of supporting their own personal ideas, is a right that ensues from the free speech rights of the INDIVIDUAL doing that contribution. The corporation inherits the rights of the individual owners of that corporation, who have agreed to the terms thereof, and it is the collective voice of those individuals that bestows the right to express opinions. It is preposterous to argue otherwise. If you do, for consistency you have to ban the corporate free speech of all the newspapers, broadcast studios, and Internet sites that belong to corporations! That means you have to muzzle NBC, CBS, MSNBC, FOX, huffingtonpost, and God forbid, oh my, NPR! That is a major, blatant, self-contradiction in laws that restrict corporate speech, obvious when uttered explicitly. The corporate news industry is always “exempt” one group of corporations. This group gives voice to Sony, General Electric, and other such giants. Sometimes I suspect “it goes without saying”. Another self-contradiction is that the subtler forms of support for a candidate are left untouched by these hypocritical initiatives. Hypocritical because exempted or regular newscasts, news stories, and so on. Hypocritical also when you consider that a recent survey (1990s I believe) showed that as many as 97 percent of the editors in a recent survey were registered to vote with Democratic Party affiliation, and about 80 percent of the journalists. That may have gone down one or two percent since Fox seems like at least to have about an even mix between the two parties. Those numbers probably help explain why it’s the Democratic Party that pushes for shutting the mouths of others. Us poor people and middle class cannot pay for a full-page ad to explain our views or influence opinions. But then there are gobs of independents, and a big part of those independents are people like me who hold to ideas vehemently and brutally opposed by the two-party cartel that holds power right now. The special-interest group with generally the most influence anyway is the collection of companies that own broadcast and cable networks and print newspapers, and don’t forget corporations with massive Internet presence. ABC, CBS, NBC, CNN, MSNBC, FOX, HN. And remember that NPR is no obscure news source, as shown by the fact that one of its own moderated the first presidential debate of the 2012 campaign. And remember that those news sources subsist from advertising almost exclusively. NPR has subscribers, and many of the Citizen United contributors may have heard about it from alternate media. Little-guy media. NPR is a corporate entity, yes it is, and the fact that much of its funding comes from the current incumbent that has the elected office, along with the strings that come along with it. It also outlasts each Congress and presidency with their change in personnel. The effect is that their perspective influences them to favor the idea that government is a benevolent animal, simply because they view themselves as benevolent. In other words, NPR’s government funding goes hand in hand with the philosophy that government should influence favorably the public’s view of government. As to foreign interventions, they HURT the poor. It’s kind of like when they hired the fox to guard the henhouse with the Federal Reserve bill in 1913, so they “award” aid to the rulers in the nations that are supposedly the poorest, but the poor in those countries are not getting it. The strings attached are unknown and probably not even in the fine print (“Economic Hit Man”). Interventionist wars result in making things worse for their stated purposes. The Arabs and Persians are not stupid. They can see that Americans invading Iraq made it WORSE for Christians there, that Obama ordering Mubarak to step down has made things WORSE for Egyptians. on GOLD and was helping the African nations set up a unified currency based on GOLD instead of the dollar. Romney will do very little that is different, but he and his handlers will probably slow down the slide into the abyss just to make it look genuine. But the inevitable fall of the dollar is coming. Get your facts straight, be skeptical, stop thinking the way they tell you to think. Robamney thinking is not thinking. Life is filled with choices and quite often the choices are between the lesser of two evils. Children and fools can't seem to understand that. —- And some people actually THINK about their choices and refuse to be told what to think. Who made that stupid rule anyway? Did we the people demand that the powers that be rig the system to keep the big boys in place and dissident voices down? And who are the plutocrats to tell us we have to choose between their own two choices? who BOTH want to keep the Federal Reserve private-bankers cartel monopoly on currency.